Jesus died that He might taste death for all. “But we do see Him who was made for a little while lower than the angels, namely, Jesus, because of the suffering of death crowned with glory and honor, so that by the grace of God He might taste death for everyone” (Heb. 2:9). An especially onerous doctrine of man says that Jesus died only for an elect few because, as another component of that onerous doctrine says, God only elected to save an elect few. Calvin’s doctrines of election and limited atonement do completely nullify what the Scripture says about the number of men that can be saved. Contrary to the teaching of John Calvin, Jesus died for all. Salvation is truly available to all sinners. Calvin’s tenets have a grain of truth in them all, but they contain too much error to hold any value. We all sin and there are none who are righteous, but it’s not because we inherited Adam’s sin, but only that we sinned as Adam did (Romans 5:12). We don’t need to have a “fallen” nature to explain why we sin just as Adam didn’t need a “fallen” nature to explain why he sinned. God has give us, as he did Adam, a free will to exercise in a world with choices: including the choice to obey or disobey God. But just as sin is a choice, so faith is a choice. Jesus Christ did not come only for a elect few even though an elect few will be saved. Those who are not saved had the same chance given to them to obey the message of Jesus Christ, but they chose not to. The Gospel must be preached to the whole world. It is up to each man to respond. Otherwise, if each man did not have the opportunity for salvation, God could not rightly condemn him to hell. The Catholics teach inherited sin. The Lutherans teach inherited sin. The Baptists teach inherited sin. The Methodist teach inherited sin. Whole segments of the religious world teach inherited sin, a doctrine that is wholly contrary to God’s design of free will and personal responsibility of each child made in His image. The doctrine of ‘inherited sin’ is contrary to the Scriptures. How can people teach the Gospel and then believe that God would be just to condemn people to hell for someone else’s sin? It is anti-christian. Calvinists aren’t always consistent on this view. They might say, “We believe that the person is lost for his own sins, for his own sin nature.” But they also believe that sin is inherited which means the soul is conceived depraved, sinful. Since Calvinism teaches that coming to God is impossible without His special intervention on their behalf, they remain lost. This is anti-Gospel. God is not a respector of persons. “God shows no partiality” (Gal. 2:6). Paul says, “there is no partiality with God” (Rom. 2:11). This doesn’t mean that God doesn’t distinguish between good and evil. The Spirit invites everyone to the feast and it is up to each person to choose to accept. It doesn’t matter what sin you have committed. Jesus loves you. It doesn’t matter how bad you think you are or how unworthy you believe you are. God is being patient to save you. Read your Bible and learn about the amazing man, Jesus Christ. He is calling you to follow Him. He is calling for you to repent and turn to Him. If you will confess Him as the Son of God and be baptized in His name, you will be saved. Against all that Calvinism says, Jesus died for you. I guarantee it. Saviour that we understand this mystery. Dear Anonymous, Context, context, context. The Lord did take the first step is choosing the 12. But they decided to follow. In the broader sense of offering salvation, God is not a respecter or persons. Since He does not show partiality, desiring for all men to be saved, He sent His Son Jesus that He might taste death for all men. Jesus is the Savior of the world. But each man must hear the Gospel and choose to follow or not. For you, from inside the maze of Calvinism where you are trapped, you cannot see that God is truly offering salvation to each and every sinner. With regard to original sin: in Genesis, the forbidden fruit is said to have come from the tree of knowledge of good and evil, not the tree of sin. Whether you interpret this historically or allegorically, there had to be a point in human history where people first knew right from wrong, and all since then have soemtimes chosen wrong. Hence I reject Calvin's doctrine of 'total depravity'. That all have sinned, I readily acknowledge. That we are all potential Ted Bundy or Charles Manson, or any other person who was depraved in the usual meaning of the word, no! I realize this isn't what Calvin meant, but doctrines should be stated in plain understandable English, not by twisting the meanings of words. Thus the saved are in Christ. And there is no Jew or Gentile (Every other nation or religion). For God's banner over us is LOVE. I think the fruit of the tree of “good and evil” is simple. The Genesis account is actually a snapshot of what is to come. A perfect world in which man walks with God, one with absolutely no division. The prophet Jeremiah prophesied that God would usher in a new covenant and take away the law of sin and death from the old. In the time of the fulfillment of the promise, it is said that the entire world will know God and there will be no more need to teach others to walk in love. There would be no knowledge of evil, only the knowledge of God. Since God is not corporeal, He could not have walked with Adam physically. This must have been in spirit. This is alluded to when God “breathed” his spirit into adam to give it life. And when the breath/spirit (Ruach, Hebrew) hovered over the water during creation. The fruit of the tree of the knowledge of Good and Evil then, was the introduction of the knowledge of evil into a world that only knew good. Jesus taught, in order to enter the kingdom we must be as children. Children do not see division. They do not see race, creed, social or religious background. They only know that they want friends. If someone hurts them, they do not understand why. This is what it is to be pure of heart and to only know good. God's kingdom is returning now. We only need to be as children to see it! I really want to read the book, but the graphic above is in violation of the second commandment in my opinion. Dear anonymous, I appreciate that you aren't wanting to worship an idol. Worship only God. The graphic is a drawing which is not venerated or worshiped or bowed to. There is nothing in the 2nd Commandment that is being violated. The “making” or fashioning of an idol for worship is the sin. The very work of your hands, the making of a piece of furniture, the making of a piece of jewelry is not a sin – unless you are fashioning it to worship it. Your opinion is a matter of conscience for you and I respect that, but because I post a representation of Jesus on the cross is not the same as worship. I worship only God. Thanks. Your scriptural arguments are the dumbest I have seen in a very long time. Arminianism is Pelagianism. We cannot come to God unless he first acts upon us. This is the Gospel. We cannot reach God. The only reason we choose to follow is because of the regeneration of our hearts by the Holy Spirit first. You have a very low view of God's sovereignty. Have you ever read Ephesians 1, Romans 8-9, John 15, Acts 13:48? Take a look at especially the Acts passage…explain this to me? Sir, my position isn't stupid. I don't know Arminian or Pelagius. But I do know Calvin that you are a slave to his teachings. I do know Christ and I know that Christ died for all in order that all might be saved. I don't have a low view of God's sovereignty either. God's will is sovereign and it's you who doesn't know His will. You have a terribly distorted view of God's sovereignty to the point of having to accept that God is a respector of persons (against Rom 2:11) and hasn't offered salvation at all to the majority of men. You have bought into a ridiculous view of God and the work of the Holy Spirit by suggesting, as all good Calvinists do, that God regenerates the person before he has even believed. As you say, we can't even choose to follow UNTIL the Holy Spirit regenerates. Thanks for leaving a post. It's instructive for others. Anonymous, the problem you have is that you missed the lesson on Christ and His Gospel being the means that God has called all men to Himself. The choice according to the Sovereign God is now in their hands and each will be held to account for the choice he makes. Also, dear Anonymous, Titus 2:11 says, “for the grace of God appeared, bringing salvation to all men”. Now in your corrupted view of Sovereignty and Grace, you Calvinists say that the “all” are the “all that God elected to save” and so the majority don't even have salvation offered to them. Now that is a damnable doctrine. Hello to all, I find it very peculiar how someone in this case “anonymous” would write words of hate and discontent and then remain anonymous. I guess that is just the way of things. I sure am glad when Jesus walked the earth that He didn't say come follow me and do i as i command you to do but i am not going to tell you who i am. I recall anonymous saying we needed to be like children. Is this your way of being like a child? Anyway back to the point at hand. This i know for sure the view in which anonymous takes cannot be learned from the scriptures ALONE. This view was taught to he or she by someone else that takes the same view. Anonymous i encourage you to think back and remember who taught you the bible and then act accordingly. Brother DM is so very right context is the key to accurate bible interpretation. When a person blankets a particular view or doctrine on a verse he or she voids out other scripture that teaches otherwise and causes god to be a liar. Psalm 119:160 says ” The SUM of thy word is truth”. Notice it said SUM and not SOME of thy word is truth. That word sum means the whole or totality of the bible is truth. Let me explain, we will use salvation as an example. One must go to all the places that speak of salvation, bring them altogether harmonize them to bring forth an accurate interpretation. Thus keeping all of gods word truth and not contradicting anything God has said. This very important principle of bible interpretation is called Synthesizing the bible. Many an educated men have not learned this basic principle. I strongly urge you (anonymous) lay aside your false beliefs and preconceived ideas humble yourself before God and His word and see what He has to tell you. If you do these things you will truly understand and appreciate the beauty of God and His word. And as james said 4:10 ” Humble yourself in the presence of the Lord and He will exalt you. I've read through all of the comments and I am shocked to find that people can call themselves Christians but at the same time reject the entire message of the Bible! That Christ came back for all! And you, who say that only a select few will be called by God, how do you know that you are one of those chosen few?? Perhaps the Holy Spirit never really acted on you in the first place and you are simply believing a lie told by another man! I prefer to trust what the Bible says and not a distorted view of Christianity given by a man who CANNOT back up his beliefs based on scripture. Christ died for ALL so that ALL might have the chance of eternal life, if we so choose to believe/obey. I like what you say about how is one sure that the Holy Spirit ever acted on them drawing them to regeneration. Perhaps then a life lived for God is a waste? Maybe one could enjoy all the hedonistic pleasures the world can offer since in the end it doesn't matter. Or, what if one has been drawn in by the Spirit and regenerated? Can that person then go onto enjoy all the hedonistic pleasures of the world since they have been chosen? Either way then, does it matter? We can all go out to chase our own desires confident that either the Spirit has regenerated us or we never stood a chance. While you denigrate my quoting passage after passage, calling it “cutting and duct taping”, do you not do the same? Jesus said that by your standard of measure, it will be measured to you. You are committing an error that comes from being inside of and wrapped up in the error called Calvinism. Once you are inside, you can't see the Scripture and instead of dealing with all of the passages I “cut and duct taped”, you resort to childish arguments. When you are inside the twisted doctrine of Calvin, your idea of Sovereignty becomes so convoluted that your doctrine of faith and love and grace don't mean what the Scriptures say. Grace means that God doesn't really DESIRE for men to be saved SINCE those He desires to be saved are saved by Calvin's convoluted distortion of “election”. Under Calvin, faith is an automatic, robotic response since it's the only thing the sinner can do. Under Calvin, loving Christ isn't the selfless, sacrificial giving of the sinner in return to His God. Love just is words to describe the robotic new life and attitude of the person who receive a grace he couldn't resist. The Calvinist is trapped inside of 5 tenets (TULIP) which perverts just about every important doctrine of salvation. Calvinism means that the majority on the broad road to hell got there and stay there because of someone else's sins. Calvinism means that God picked some to be saved and picked the rest to be damned and there's no getting around it. If God didn't pick you to be saved, you are going to hell and you don't even know it because you are so depraved – due to someone else's sins – that you won't know it until God is condemning you. Calvinism means that all of the talk of God loving the whole world and Jesus loving the whole world is just talk because in reality – according to Calvin's “limited atonement” – Jesus only came to die for the hand picked few. The rest have no sacrifice available for them – not for their sins and not for the sins of their parents – to take hold of and claim. Calvin is a devilish doctrine that perverts the doctrine of grace through Christ. Calvinism means that when you get regenerated by the Holy Spirit, it was prior to the sinner having faith or belief. These are just more gifts from God to the elect few. Sure Calvin pays lip service to God DESIRING salvation to all, but He only offers salvation, irresistable grace, to the persons he hand picked to be saved. And of course, Calvin predicates his last and final tenet called “perseverance”, upon all the rest of his trash heap of doctrines. If you buy all of the rest, then “once saved, always saved” is the only viable explanation – even if it contradicts a myriad number of Scriptures. Calvin says you were damned, but God hand picked you to be saved. And to legitimize the salvation of the hand picked few, He sent His Son to die for the hand picked few, and then God supernaturally stirred and regenerated the hand picked few, and so the only option for the hand picked few is to stay saved with no choice of their own. Calvinism is the most hideous doctrine that perverts every good doctrine of God on salvation. I pity those who believe such garbage. Thanks for the topic and responses. I try to look at the bigger picture. There are hundreds of denominations of Christianity, the greatest scholars in world debate over election, salvation(can you lose it), when are you really saved(by a in the moment belief caught up in a momenet or over a period of sanctification) the return etc etc. If it was so clear there would be more unity across the board. Christians and church bodies lack so much unity. Its obvious in so many debates on these matters and even how people describe themselves. I have heard so many people say im a Catholic or Im a baptist vs I am a Follower of Christs teachings. Its unfortunate and it can be scary to not be clear on these great topics and often frustrating. People defend each others individual beleifs often to the point of insulting another, why for a fear of their view on lifes purpose being shaken some. I have done it. We could spend our entire lives just trying to be more loving, forgiving and working on issues instead we get can easily get sidetracked because we want the answers. It makes sense, its too bad. I see an agreement on Gods Soveriengty in these posts, so the better question might be why did God do it this way, why did God allow this lack of clarity. It would take very little effort to write a crystal clear answer for those 10-20 debatable matters. It wasnt like God didnt realize this would happen, so why? Humilty? faith? Lets not miss the forest through the tress? I long for those answers too, but unfortnately it will be a debatable subject until death because a good case can be made on both sides. Thank you very much for this post. Dear Brandon. Unity is possible because Jesus prayed for it, Jn 17. Division is not of God and not acceptable, 1 Cor. 1:10ff. We must be diligent to preserve unity, Eph. 4:1ff. When you ask the question why did God allow the lack of clarity, I think that's the wrong question. Your question is based on the premise that it's not the fault of man and Satan the deceiver. Might as well ask why did God give us free will? Just look at one example. Calling oneself a “Lutheran” is not acceptable for it is divisive. Clear enough for me to see from Paul's words in 1 Cor. 1:10ff. But men ignore what God says and rationalize. It's sin, it's self-will, it's rebellion: but it's not God. Quick question does anyone know how to read the bible. Please take a Hermeunutics class or something. 90% of the Calvinistic scriptures were written for the Jews. They were a chosen people. He did call them out. They were promised life read Romans Chapter 6. All Israel will be saved. Almost all of your scripture including almost all of the gospel is directed to the Jews. Jesus came for the Jews. Read the gospel. 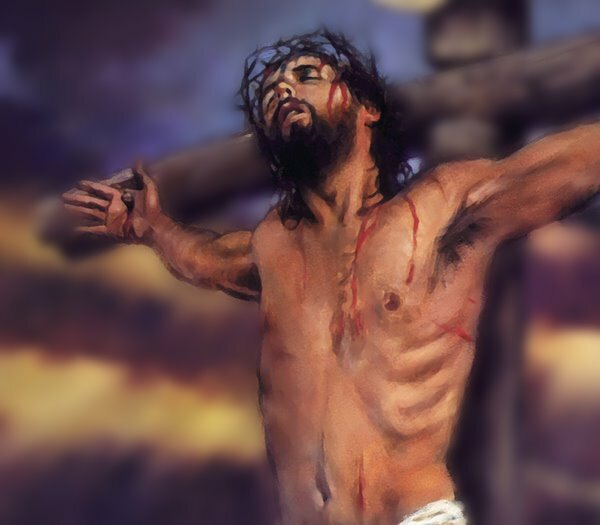 Jesus dieed not only for the Jews or the Greek but for the sins of the WHOLE world. People pull one verse out of the blue not knowing who it was written to or who it was for and base their religious views on it. Read the whole book and decide for yourself with an open mind. If God is love then why would He create a man that had no hope of salvation. Only to sentence him to hell. Take a minute to let that sink in. I love God with all my heart but that doesn't sound like love to me or mercy. I do happen to know how to read the Bible. It is though the guiding of the Holy Spirit. You fail to recognize that God's chosen people never received one promise apart from their belief. Even they had to wait for Jesus to fulfill His calling before they could recieve the promise. God first chose a people who had individuals who would use their free will to be obiedoant to His call. (Read Hebrews 11:-12:2). Also you say that we have a low view of God's sovereignty while you try and make your opinions to be God''s words. Our view is based on Gods revelation in scripture that He knew who would believe before hand so it is the truth that only some will believe(the elect). It is true that He decided to create the world knowing some would not believe (predestination). The difference between our views is that we can accept the full teaching of scripture while you try to rationalize that it is a great mystery how Gods sovereignty and mans free will work together. It is a mystery to those who are more concerned about appearing intellectual than they are about the truth of Gods word. Calvin was a very intelligent man, but like most who just want to be right and prove others wrong for the sport of it, he went to far. God is sovereign so please stop telling Him He is not allowed to use His power to grant us free will in His plan. The reason we feel that this issue must be defended is that if Christ did for all, as the scripture teaches, then for it to be said that He died only for some, as you take scripture out of context to argue, is to lower the power and meaning of the death burial and resurection of our Lord. Pray that you will not count our Lords act as less than what it is, and that is the power to save all who call on Him. God bless you in your studies. Hebrews 2:9 has the Greek PANTOS, translated 'everyone'. You are right, it doesn't say 'all men'. It just says 'everyone'. 'Everyone' is the set that includes 'all men' and the 'ones my father hath given me' is a subset of 'everyone', namely those who believe and repent. 'Many are called, few are chosen'. The Gospel is proclaimed to the whole world, without prejudice because God does not show partiality. God truly desires for all men to be saved. Now that would be a pretty shallow desire if God said to His Son Jesus, “Jesus, you go down and and die only for a few of the people.” No, the Calvinist doctrine is a damnable doctrine of demons. God desires all to be saved and that's why God said for Christians to be praying for all because God desires for all to be saved and come to the knowledge of the truth, 1 Tim 2:1-5. Hebrews 2:9 says “that He might taste death for everyone.” You claim that the “everyone” is “the ones” the Father gave to Him. So why the “might” or subjunctive mood? The subjunctive mood offers only possibility. The outcome is not certain. Of course the subjunctive makes sense when we understand that Jesus really did taste death for “all men”, all sinners, all that have sinned because none are righteous. The subjunctive “might” holds the promise of salvation only to the subset of all men who believe in Jesus, repent, confess and are baptized into Christ. The subset are the people who responded to Christ and were saved by grace. Your Calvinist doctrine is layer upon layer of tangled and twisted Scripture. First you start with the idea that man is conceived in such a damned state and so corrupted that he couldn't recognize God or appreciate His truth. Depraved is what you call it and every little baby is already depraved and doomed to hell – think of all the aborted babies your doctrine supposes are in hell. Then you Calvinist add to that that God springs saving grace and enlightenment upon the unsuspecting soul – first – since the person is so depraved that God had to do the transformation as the first step. Before believing God enlightened and converted according to your doctrine. Damnable. The salvation of Calvin is “UNCONDITIONAL”, meaning no condition was met nor could be met to be saved. Logically that means the person was saved before believing, before confessing, before repenting. What a strange and unbiblical doctrine is Calvinism. On top of this huge mess you Calvinists then add the idea that Jesus therefore only died for the Unconditional few that God chose to save and have His Son die for. This is where your distortion of Hebrews 2:9 comes in. Only it's not just that passage which you have to distort. You also have to distort John 3:16 and 1 John 2:1,2 and 1 Tim. 2:1-5 and many more. The Scriptures tell us that all men are created in God's image. Every soul is created in His image. Sure, we sin as Adam and Eve did and we need salvation. Contrary to your damnable doctrine, God offers salvation to all men. It's up to them to believe it and obey the Gospel. If they don't, then they will be held to account on the day of Judgment. Next, after you have this mess, you Calvinists then add “irresistible grace” and “perseverance of the saints” doctrines which completely remove free will from the equation. Why do you love God? Not because you chose to but because God just made you. Why do you have faith? Not because you were like Moses who chose to forego the pleasures of this life and look for a heavenly reward. No, you aren't like Moses. You believe Calvin and therefore you believe that you have faith because God put it in you. Big whoop. Is God going to praise and exalt you on Judgment day because you have faith and love that He planted in you! My God has loved me and asks for me to reciprocate and love Him back. God has given me ample evidence that He is and that He rewards those that seek Him. Well faith and love only make sense if you ditch that damnable Calvinist doctrine. I have been saved for almost 54 years. I know as many do the love of God and his desire to have an intimate relationship with all of us. I am saddened to see how false teachings which the bible warns of has brain washed some believers. I believe Calvinism is a false teaching. Read the many scriptures that address this. Satan continues to work his deceitful power even over believers. All those who understand this need to pray for anonymous and others who Satan has blinded. He is a powerful enemy roaming through the earth to kill and destroy all he can and deceive believers. He worked his power with Eve and those in bible days as well as today. God is good. The word teaches us not to show favoritism. God teaches us His ways. The doctrine of Calvinism in essence means God created some children to punish and send them to hell. Really that's like having children just to punish them what type of God is that? Aborted babies under your stance would still have to suffer eternally, because they have not believed or obeyed the Gospel. I would be wary of implementing false logic on the Calvinists. Dear DM… you, are awesome! IF… you only look at it with tunnel vision. As you said, the context is important, for it always debunks such beliefs. Thank you so much Mr.Mayfield. I just finish studying Calvinism for several months and today it is the day the straw broke the camel's back! There's no way Christ died for a few! It just doesn't even make common sense apart from scripture. The nonsense that man is not capable of choosing Christ is also nonsense. We can freely choose to do anything else on God's green earth, but we can't freely choose to follow him if we want? So the Calvinists are prescribing limited free will when it comes to saving faith in Christ, but with everything else we're fully capable of making decisions? I even purchased a Reformation Bible thinking I had arrived. I'm so glad God opened up my eyes and led me here today. You couldn't be more correct in that Christ died for all, and we have every opportunity to follow him once we're aware of the Word! God Bless You Always! Thank you for the comment. I'm happy you worked your way out of that perversion of the Gospel. May God bless you.